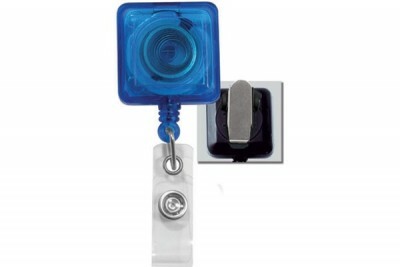 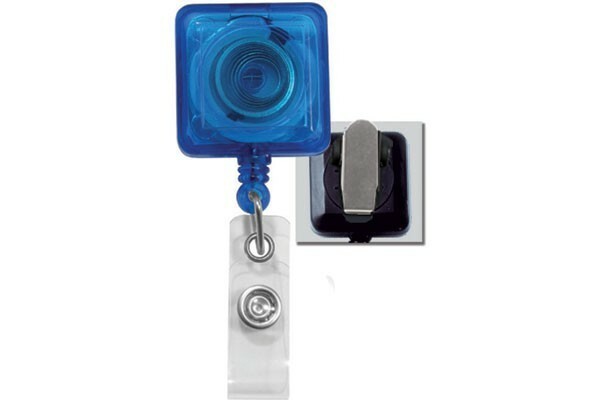 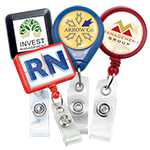 Translucent Blue Square Retractable Badge Reel, with Clear Vinyl Strap & Spring Clip. 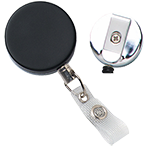 Reel Dimensions 1-1/4" X 1-1/4" (32mm X 32mm). 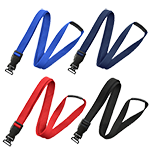 Cord Length 34" (864mm). 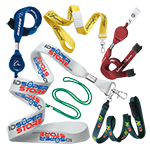 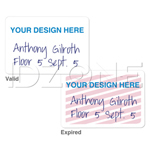 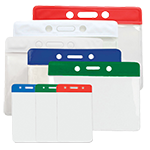 Purchase badge supplies at ID Superstore!